Angela Shpolberg currently studies cultural diplomacy between the U.S. and the U.S.S.R. in the years immediately following the Russian Revolution. She is a Center Associate at Harvard’s Davis Center for Russian and Eurasian Studies and was the 2012 Patterson Research Fellow at Longfellow House. She holds a Ph.D. in Linguistics from Odessa National University in Odessa, Ukraine, where she consequently taught for over ten years. Her linguistics research focused on the role of conjunctions in speech production. She was also the lead instructor for several foreign language exchange programs, notably with the University of Halle-Wittenberg (Germany) and Middlebury College (USA). 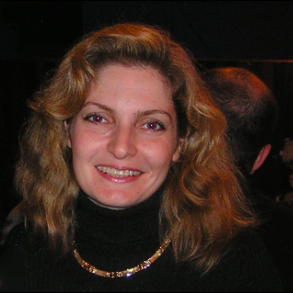 From 1996 onwards, Angela has been based in Boston, where she has worked as an editor for the Russian Community Journal of Massachusetts. She also serves as a Consultant for Pearson Evaluation Systems where she develops and scores Massachusetts Tests for Educator Licensure (MTEL, Russian Language/Russian Studies). The project explores eyewitness accounts of Revolutionary and post-Revolutionary Russia written by American women journalists between 1918 and 1945. It draws together their observations of the radical social changes taking place in the sphere of class and gender, and honors these women’s contribution both to the cause of Russian-American relations and the emergence of the “New Woman” in the U.S.
“On the 'Russo-American fever': Henry Wadsworth Longfellow Dana and the Gorki Fund”. The New England Quarterly, vol. 88. , no. 3 (20015), 509-526. “American Russian: Thoughts on the ‘Great and Mighty’ // Russkij po-amerikanski: razmyshleniya o ‘velikom i moguchem,’” Slovo\ Word, no. 51 (2006), 483–493.